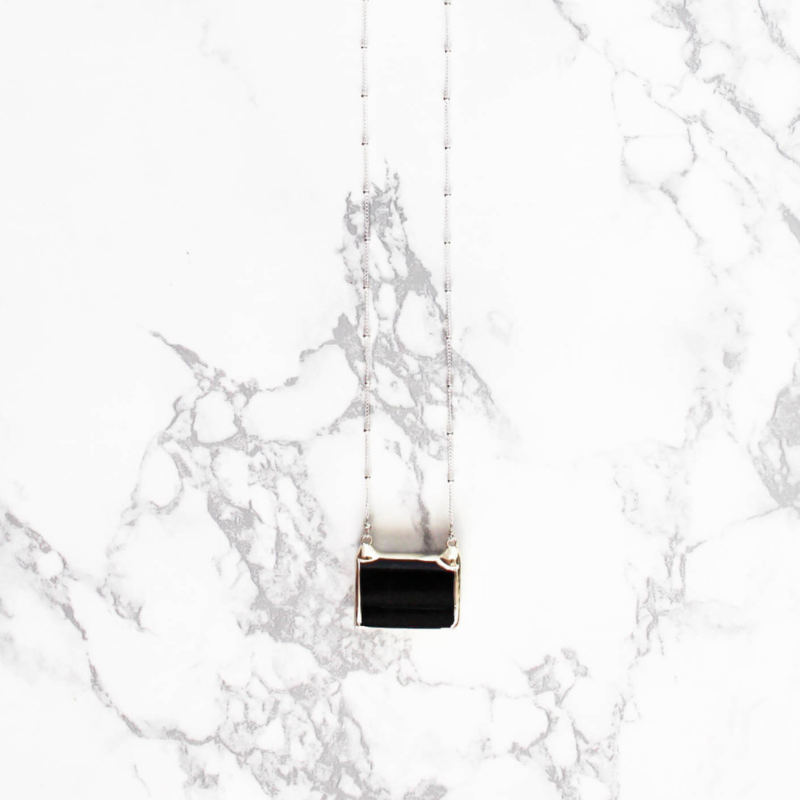 A natural stone rectangle pendent set in sterling silver on a deluxe 17" ball chain. 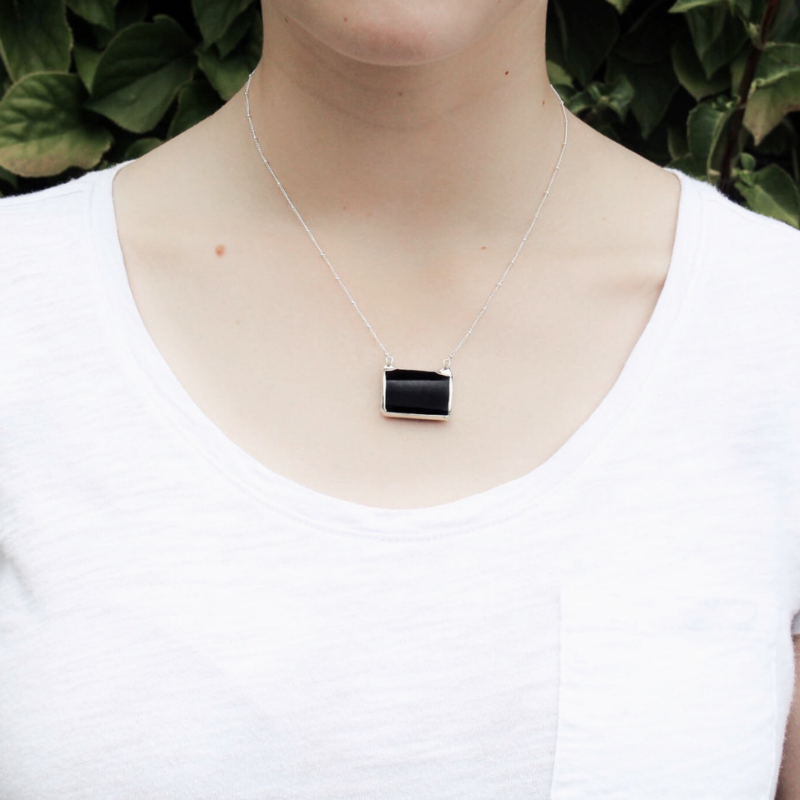 Black onyx is a powerful protection stone. It absorbs and transforms negative energy, and helps to prevent the drain of personal energy and aids the development of emotional and physical strength and stamina, especially when support is needed during times of stress, confusion or grief.